If you’ve been diagnosed with cancer, the effectiveness of your treatment depends on two factors: the accuracy of your diagnosis and the design of your treatment plan. 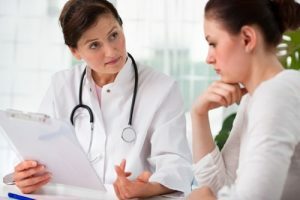 This is why you should seek a second opinion, which will either affirm the first opinion and treatment plan or provide additional information to consider. Pathologists are human beings, and they’re not perfect. Certain kinds of cancer are hard to diagnose, and it’s possible that a pathologist’s opinion isn’t accurate. In fact, studies have shown that reexamining a pathology test has led to a change in diagnosis between 25 and 30 percent of the time. We looked at our own members at PinnacleCare, and found that the original diagnosis was wrong in a significant number of cases. Be honest. Wanting a second opinion can be a positive thing, so don’t feel the need to hide it. You can say something like, “I trust you, but I want to get affirmation of what you’re saying from someone else.” Your honesty will be appreciated. Ask for a recommendation. Most physicians welcome the opportunity to gather more information and actually encourage their patients to seek second opinions. To engage your oncologist in this process, ask for a referral to another physician at a regional or national center of excellence. Remember most doctors welcome a second opinion. It’s very rare that a doctor would discourage a second opinion. The only valid reason for this would be if the current stage of your disease requires immediate treatment. Otherwise, if your oncologist doesn’t want you to get a second opinion, it’s probably better to seek treatment from someone more understanding. We worked with one man who had prostate cancer and entered into an active surveillance program without surgical treatment. Every year, he had a biopsy to monitor the growth of his tumor. When his PSA results increased at a faster rate, he sought a second opinion from a world-renowned pathologist who concluded his cancer had invaded the local nerves surrounding the prostate gland. This finding took him from active surveillance to considering radiation or surgery, and getting a second opinion changed the course of his treatment dramatically. Remember that new, innovative treatments are becoming available all the time. Getting another doctor’s perspective will determine whether any of these new approaches are appropriate for you. Additionally, clinical trials are going on everywhere, and some of these experiments only enroll people who have not begun a specific chemotherapy or radiation therapy. A second opinion will discern whether one of these trials is a good fit for your disease. When trying to find out what your diagnosis is and when designing a treatment plan, the first answer you get doesn’t have to be the only answer. When you leave no stone unturned, you can be sure that you did everything in your power to ensure that you make a fully informed decision and receive the most appropriate care for your individual situation.